Nobel Peace Prize winners Malala Yousafzai from Pakistan and Kailash Satyarthi of India this week stressed the importance of uniting people across borders and religions. They want children to be educated, to help free them from poverty. 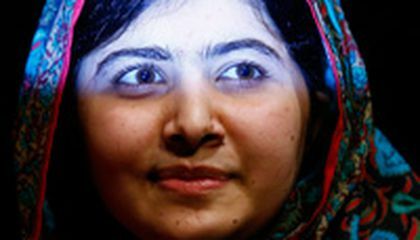 The 17-year-old Malala was shot in the head two years ago in Pakistan, but survived. She was attacked for insisting that girls have as much right to education as boys. She says it is "not only the right but the duty of children" to be educated. 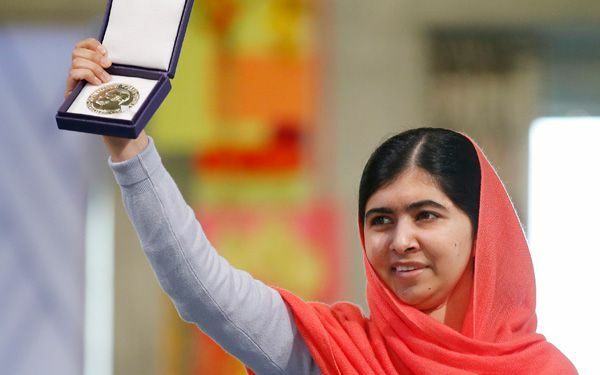 Malala is the youngest Nobel winner ever. Sitting next to her at a news conference was this years second winner, 60-year-old Satyarthi. He said that even if a single child is denied education "we cannot say we are enlightened." The Nobel laureates split the $1.1 million award. They were cited for working to protect children from slavery, extremism and child labor. Their work came at great risk to their own lives. They reiterated that the prize was not only for them. Rather, it was for the children of the world. "It is very important for millions and millions of our children who are denied their childhood," Satyarthi said. "This is an honor for them all." Malala said she is disappointed that the prime ministers of their two rival nations had not accepted her recommendation to attend the award ceremony in Oslo, Norway. December 10 is the anniversary of Alfred Nobel's death in 1896. "Countries do have borders. It doesn't mean that you should hate each other," she said. "If they were here, I would have said to them to make education the priority together." The visit by Malala and Satyarthi has drawn hundreds of people into the freezing streets of Oslo. They were hoping to get a glimpse of the laureates. Martin Slotnes is a Norwegian living in Australia. He was visiting Oslo with his wife and children. He said it was the first time he had taken an interest in the peace prize. "Her story moves me," he said of Malala. He showed his sons the picture he snapped of her from behind the barricade. "It was bitter cold. But it was worth it."